I am pleased to announce that one of my sound art alter egos, escalation 372, will be playing Stress!! in Galway on Wednesday 27 June 2007. This performance will debut sparkling new compositions utilising computer synthesis (yes, there will be a laptop but no, we will not check your email), found sounds (if you find any good ones, let us know) and oscilloscope tracings snatched from the darkest reaches of the aether. I am excited to add that vocalist Susannah Clare will be joining escalation 372 for select pieces, in order to create an even larger, scarier noise. Oh, and there will be a guitar. It might even have strings on it this time. Plus some new visual creations. It's a multimedia extravaganza! Doors at 9pm. Entry is a mere fiver. Cash bar. Plus other acts. Stress!! is an electronic/experimental/electric/acoustic music night held weekly at De Burgo's, 15-17 Augustine St., Galway. escalation 372 is an association engaged in sonic attacks, art appropriation and terminal documents. Performances are designed to detach segments from the audio spectrum in order to expose their form and the medium itself for examination. 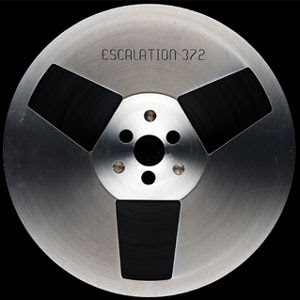 Starting in radiophonics, escalation 372 has explored performance art, music, soundtracks, phonography, electro-acoustics and other disciplines. More info on escalation 372, including free downloads and a cool blue wasp, can be found at the escalation 746 website and associated MySpace mess. The website also has a map showing the gig location and a random point in Galway Harbour. escalation 372 would like to thank Tony Higgins, Native Instruments and the Ennis Bypass for making this event possible.